As soon as June 1st hits (sometimes earlier) the kids suddenly appear to have forgotten the rules and have no motivation to work. They also seem to be fighting with one another more than ever and disputing the tiniest issues that didn’t seem to matter just a few weeks ago. Ten years ago I saw this happening in my classroom to my sweet, loving, well trained 2nd graders and I was baffled because this group of kids was truly like a family. They were loving to one another and worked well cooperatively so when this ‘change’ occurred–literally overnight–I had no idea what was happening. The kids just came in from recess and there were several requests for a ‘Community Meeting‘. *A Community Meeting is something that we hold in my classroom when we have a problem or concern that we need to solve as a group. We went to the ‘Meeting Place Rug’ and sat in a circle. They were all familiar with the rules; if you didn’t see it with your own eyes or hear it with your own ears you were not to judge, but instead listen mindfully. One child raised their hand to use an I Statement regarding their frustration. Then another and yet another. I sat back and wondered what was going on with these kids. They were literally like a family. We were all so close and we always worked out our differences together but lately it was a nightmare after every recess. As I listened to the kids venting their feelings I myself was feeling helpless because I wanted them to enjoy our last few weeks together instead of nitpicking at one another. I interrupted the conversation and explained that perhaps we were all just ready for a break because it was a long year and we were excited for the summer. The kids kind of shook their heads and then there was an uncomfortable silence in the room. Oh I got it then. The kids heard me say the words, “Let’s enjoy our last few weeks together instead of fighting” and the flood gates opened. Several of the kids had tears in their eyes, as did I, as we all realized we were bracing ourselves for our end. Yes, we were excited about Summer, but we were also sad to leave one another. At the time I worked in a school that was a primary center. We hosted grades K-2 and then the kids went to two separate schools across town from one another for grades 3-5 depending on where they lived. The kids began to speak about their sadness of leaving and how scary it was that things were going to change. I did my best to reassure them that they would love 3rd grade and would all see each other again in 6th grade, but then one child raised her hand and the ‘Oreo Cookie Theory’ was born. At that point we were all crying and then, of course, hugging. I am proud to say that those 2nd graders are graduating from High School this year and I can’t wait to attend their graduation. I have thought of them often as the years have past and I especially think of them every June when my kids show the same signs of separation anxiety. 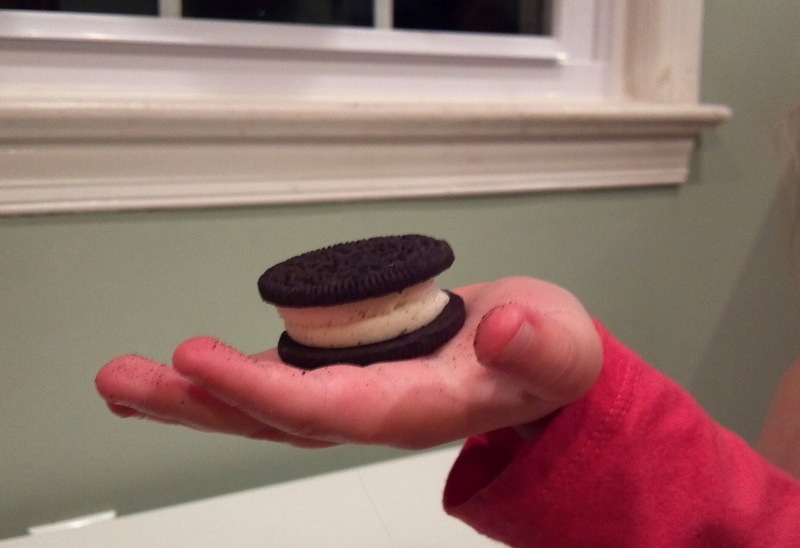 If you are a teacher or a parent and you’ve noticed a change in your child in the past few weeks that may be a bit frustrating please consider this ‘Oreo Theory’ and give them a break. Instead of getting angry or annoyed with their behavior, give them lots of extra love because now you know that although they are excited about a new beginning and sunshine, they are also sad about an ending. Be gentle. Be understanding. Be loving.